Artificial Intelligence (AI) systems are taking over a vast array of tasks that previously depended on human expertise and judgment (only). Often, however, the “reasoning” behind their actions is unclear, and can produce surprising errors or reinforce biased processes. One way to address this issue is to make AI “explainable” to humans—for example, designers who can improve it or let users better know when to trust it. Although the best styles of explanation for different purposes are still being studied, they will profoundly shape how future AI is used. Some explainable AI, or XAI, has long been familiar, as part of online recommender systems: book purchasers or movie viewers see suggestions for additional selections described as having certain similar attributes, or being chosen by similar users. The stakes are low, however, and occasional misfires are easily ignored, with or without these explanations. 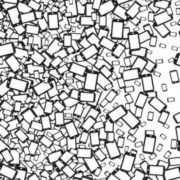 “Considering the internal complexity of modern AI, it may seem unreasonable to hope for a human-scale explanation of its decision-making rationale”. 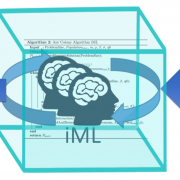 https://hci-kdd.org/wordpress/wp-content/uploads/2016/07/iML-human-in-the-loop-glassbox-machine-learning-quad.png 832 1276 Andreas Holzinger http://hci-kdd.at/wordpress/wp-content/uploads/2014/11/hci_kdd_logo_final.png Andreas Holzinger2018-11-21 10:01:132018-11-21 10:09:45AI, explain yourself ! 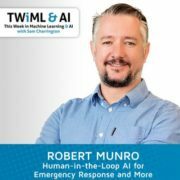 What if the AI answers are wrong? Cartoon no. 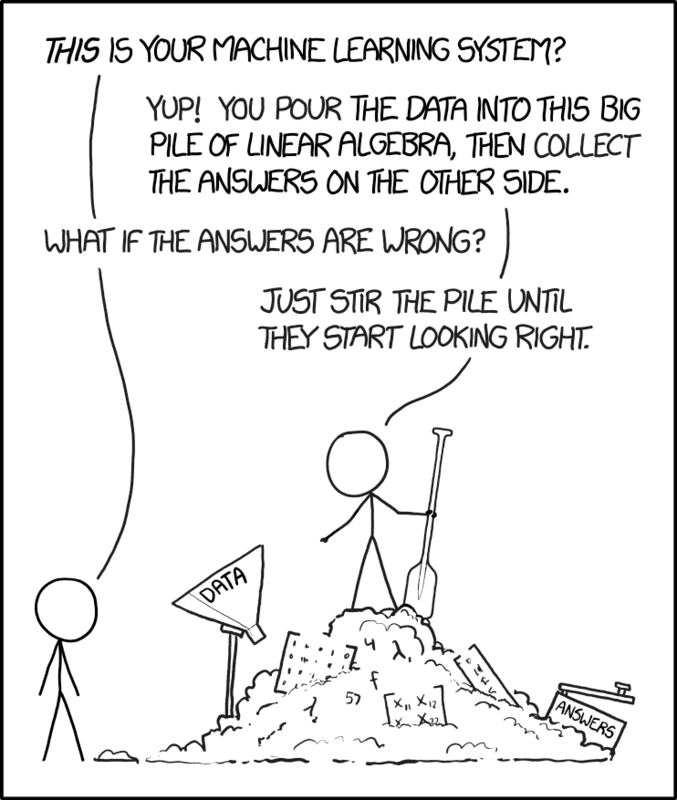 1838 from the xkcd  Web comic by Randall MUNROE  describes in a brilliant sarcastic way the state of the art in AI/machine learning today and shows us the current main problem directly. 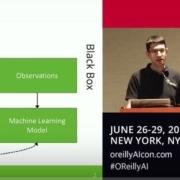 Of course you will always get results from one of your machine learning models. Just fill in your data and you will get results – any results. That’s easy. The main question remains open: “What if the results are wrong?” The central problem is to know at all that my results are wrong and to what degree. Do you know your error? Or do you just believe what you get? This can be ignored in some areas, desired in other areas, but in a safety critical domain, e.g. in the medical area, this is crucial . Here also the interactive machine learning approach can help to compensate or lower the generalization error through human intuition . https://hci-kdd.org/wordpress/wp-content/uploads/2018/10/results-from-AI-ML.jpg 576 597 Andreas Holzinger http://hci-kdd.at/wordpress/wp-content/uploads/2014/11/hci_kdd_logo_final.png Andreas Holzinger2018-10-29 08:31:462018-11-21 12:07:21What if the AI answers are wrong? 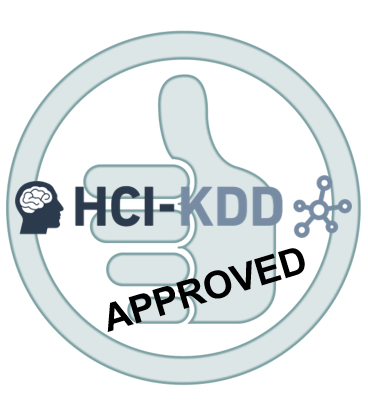 A good proof of the importance of the HCI-KDD approach, worth: 2,1 Billion USD ! Our strategic aim is to find solutions for data intensive problems by the combination of two areas, which bring ideal pre-conditions towards understanding intelligence and to bring business value in AI: Human-Computer Interaction (HCI) and Knowledge Discovery (KDD). HCI deals with questions of human intelligence, whereas KDD deals with questions of artificial intelligence, in particular with the development of scalable algorithms for finding previously unknown relationships in data, thus centers on automatic computational methods. A proverb attributed perhaps incorrectly to Albert Einstein illustrates this perfectly: “Computers are incredibly fast, accurate, but stupid. Humans are incredibly slow, inaccurate, but brilliant. Together they may be powerful beyond imagination” . d) consequently this is a good example for the business value of our HCI-KDD approach: Let the computer find in arbitrarily high-dimensional spaces what no human is able to do – but let the human do what no computer is able to do: BOTH working together are powerful beyond imagination! 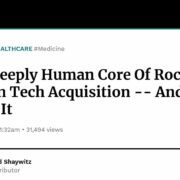 Flatiron Health  is a company which is specialized on health data curation, supported by technology of course, but mostly done manually by human experts in the Mechanical Turk style. Remark: The name mechanical turk has historic origins as it was inspired by an automatic 18th-century chess-playing machine by Wolfgang von Kempelen, that beats e.g. Benjamin Franklin in chess playing – and was acclaimed as “AI”. However, ti was later revealed that it was neither a machine nor an automatic device – in fact it was a human chess master hidden in a secret space under the chessboard and controlling the movements of an humanoid dummy. Similarly, services which help to solve problems via human intelligence are called “Mechanical Turk online services”. https://hci-kdd.org/wordpress/wp-content/uploads/2018/03/Forbes-human-data-curation.jpg 612 1153 Andreas Holzinger http://hci-kdd.at/wordpress/wp-content/uploads/2014/11/hci_kdd_logo_final.png Andreas Holzinger2018-03-22 12:45:272018-03-23 10:40:54A good proof of the importance of the HCI-KDD approach, worth: 2,1 Billion USD ! We use in all our courses Python due to the fact that it is an “industrial standard” and widely available. I would love e.g. Julia, which is much faster, but it remains rather academic and needs a lot of additional effort. 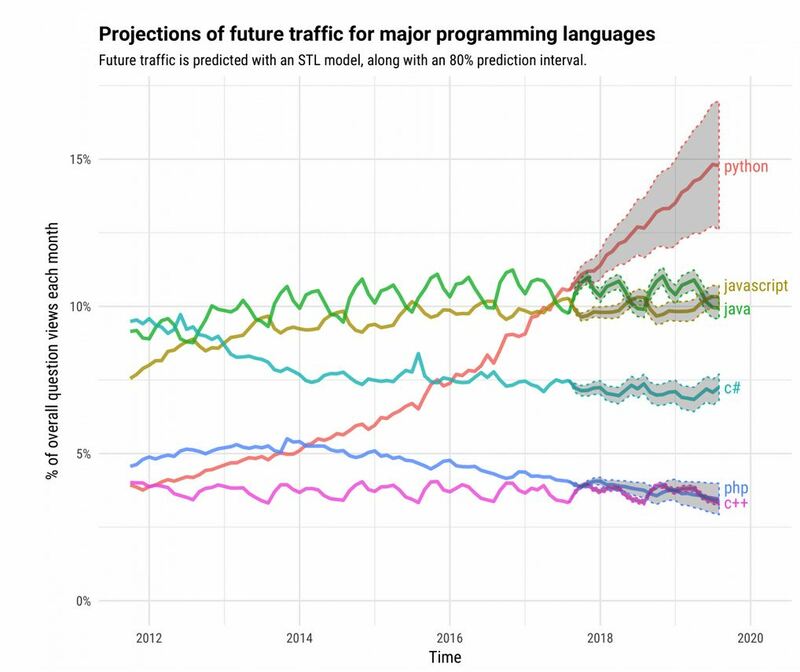 It is not astonishing that Python is worldwide the most popular tool for machine learning and artificial intelligence as there are deep learning frameworks available, including Tensor Flow, Pandas, NumPy, PyBrain, Scikit, SimpleAI, EasyAI, etc. etc. Andreas Holzinger, Markus Plass, Katharina Holzinger, Gloria Cerasela Crisan, Camelia-M. Pintea & Vasile Palade 2017. A glass-box interactive machine learning approach for solving NP-hard problems with the human-in-the-loop. arXiv:1708.01104. Andreas Holzinger, Chris Biemann, Constantinos S. Pattichis & Douglas B. Kell 2017. What do we need to build explainable AI systems for the medical domain? 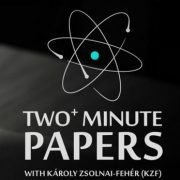 arXiv:1712.09923. Andreas Holzinger, Bernd Malle, Peter Kieseberg, Peter M. Roth, Heimo Müller, Robert Reihs & Kurt Zatloukal 2017. 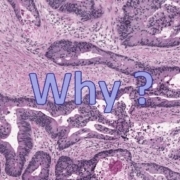 Towards the Augmented Pathologist: Challenges of Explainable-AI in Digital Pathology. arXiv:1712.06657.